PPC Management | BrainSoft Software (P) Ltd.
Pay Per Click (PPC) is an Internet advertising model used to direct traffic to websites, it is an internet advertising formula in which advertisers will pay an agreed amount to the publisher on clicking on the adds irrespective of the sales conversion rate. Advertisers generally select the keywords, key groups or phrase in which they want to publish their advertisement. 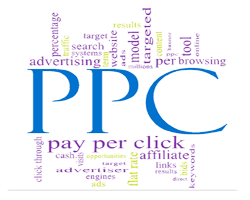 PPC has got a lot of advantages as well as it can be used to generate huge amount of targeted traffic instantly, another advantage of PPC is that it can be used for international exposure, as we can select on geographical region where we can be seen. For the success of every campaign it is necessary to go through a deep research and plan a to the point strategy, keeping the client’s need in mind. Because just driving irrelevant traffic is not our target, our target is to drive maximum and relevant traffic to the client’s site. We help our client to find out what they want actually? And we try to fulfill that requirement.